Work your proper hour’s day always gets press coverage and becomes a talking point - this year Friday 24th February. It’s the day when the average person who does unpaid overtime finishes the unpaid days they do every year, and starts earning for themselves (see report here). There is plenty evidence that it is a real problem for housing workers. Surveys of branch members highlight the issue well. In Centrepoint, which has a staff turnover rate of 23% - 79% of staff work over their hours. In Sanctuary 53% work four or more hours for free. Hardly a surprise that 67% of those who replied are in debt given they are not paid for overtime they are working. Even those on the national minimum wage are losing £1467 per year. Sanctuary’s annual surplus last year was £52 million. In Circle, now part of Clarion, 46% work more than four hours unpaid. In Catalyst members have taken industrial action to restrict their hours to those in their contract. 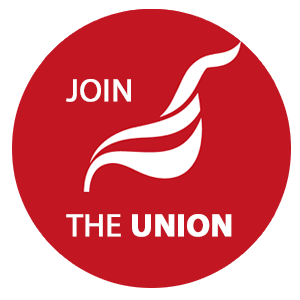 Unite reps will want to represent groups of workers facing unrealistic hours. It is no surprise that stress levels in the housing sector are rising – we have material on this website on how to fight back. Tell us about your experience as a housing worker.